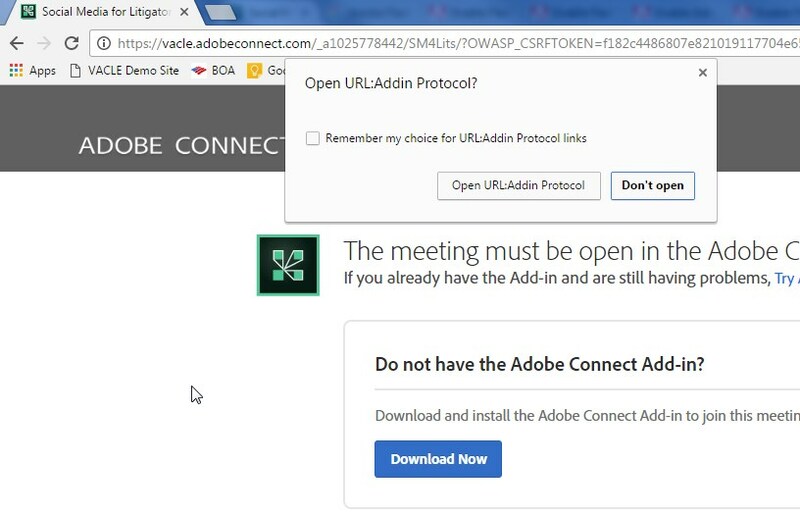 If you encounter the following screen, please follow the instructions below for enabling Flash Player. 1. 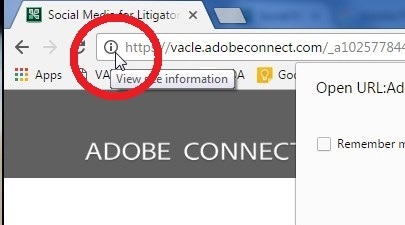 In Chrome, click the 'i' surrounded by a circle next to the http address. 2. 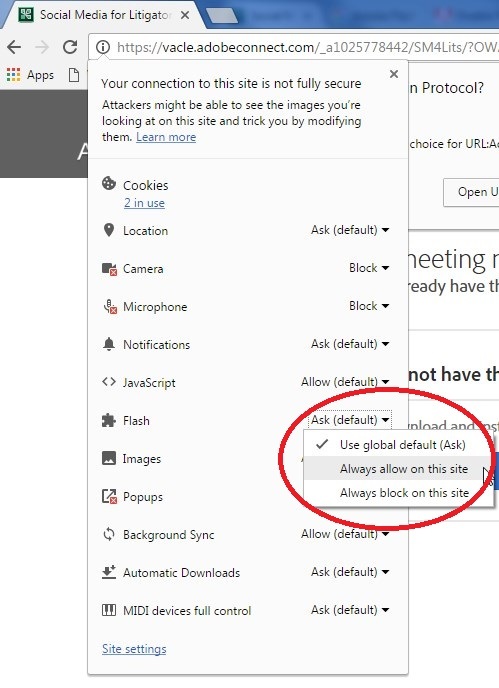 Then click on the down arrow next to Flash and choose "Always allow on this site". 3. Then refresh the page. 1. In Firefox, hold down Shift+Ctrl+a open the Add-Ons page, or click on the 3 horizontal lines in the upper right corner to open the menu and choose 'Add-ons'. 2. Click 'Plugins' on the menu on the left. 3. 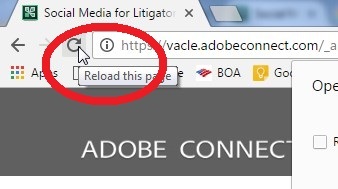 Now click the arrow next to Flash and choose 'Always Activate'.